We are accepting applications for Project Lead the Way (PLTW) Engineering Summer Camp for students entering grades 9-12 who have completed Algebra I. It is a two week STEM program with a hands on approach to engineering and design processes. Math, science and engineering standards will be used to identify and find solutions to real world problems. Participants will also be introduced to 3D modeling software, 3D printing and other digital fabrication technologies. Those who complete the course will be eligible to apply for the PLTW -- Engineering program offered through LCJVS/LCCC. The two-week PLTW Engineering Summer Camp runs 8am to 3pm, Monday through Friday from June 17, 2019 to June 28, 2019. Participants will meet in the PLTW lab, Room AT137 of the Advanced Technologies Center at LCCC and must provide their own transportation. 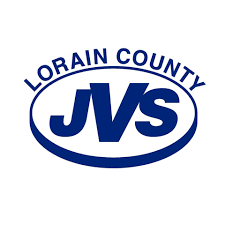 The cost of the program is free in 2019 due to a generous grant from the Lorain County JVS Educational Foundation! Acceptance letters will be mailed out on April 15, 2019. Lunch is included. All participants will receive a camper bag of goodies. On the last day campers will host a Celebration Event where students will showcase their work to their family & friends -- Time to be determined. Applying does not grant admission to the program. Those accepted will be notified by mail.